Learning Greek can be a difficult task. 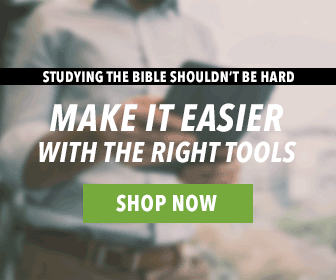 It takes years of study and countless hours of practice before you reach the point of reading the Greek New Testament without the help of additional resources. 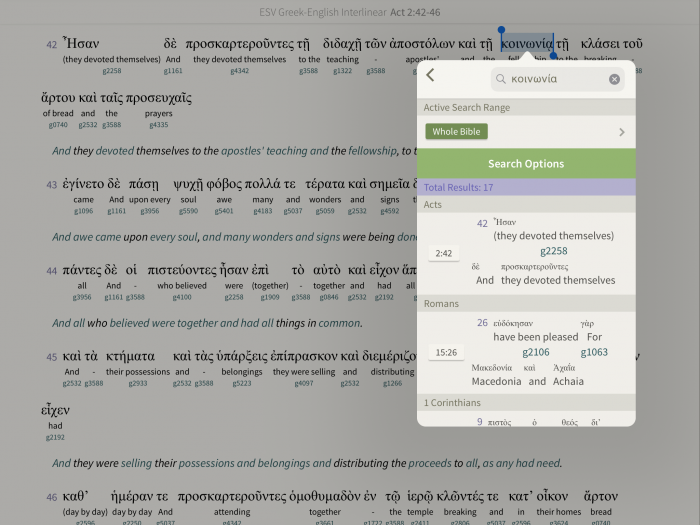 Unless your aim is to be a New Testament scholar, most will not achieve that level of comfort with the Greek text. 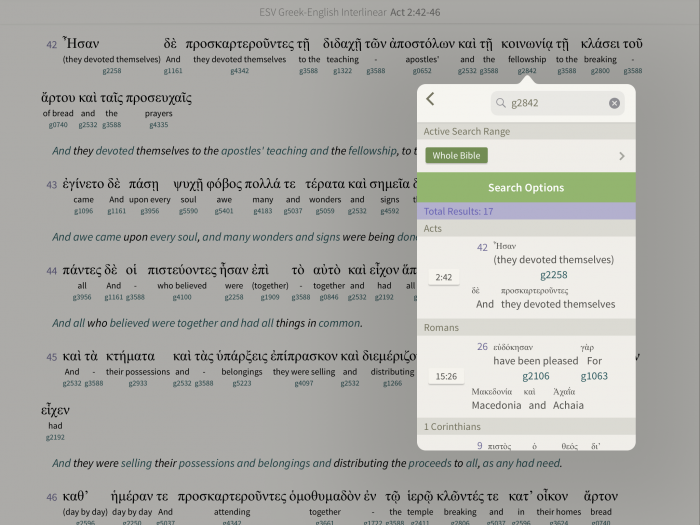 But that doesn’t mean you can’t benefit from using the Greek New Testament in your studies. 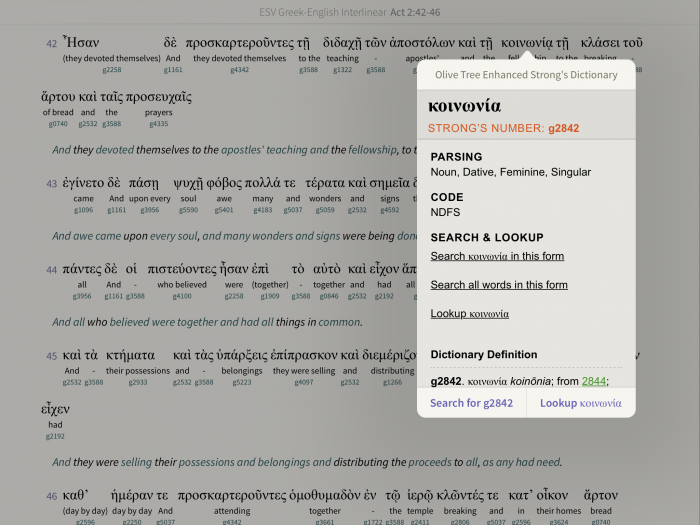 Whether you’re someone who can read Greek proficiently or have only ever used a Strong’s Bible, Olive Tree’s Interlinear Bibles are here to meet your needs. 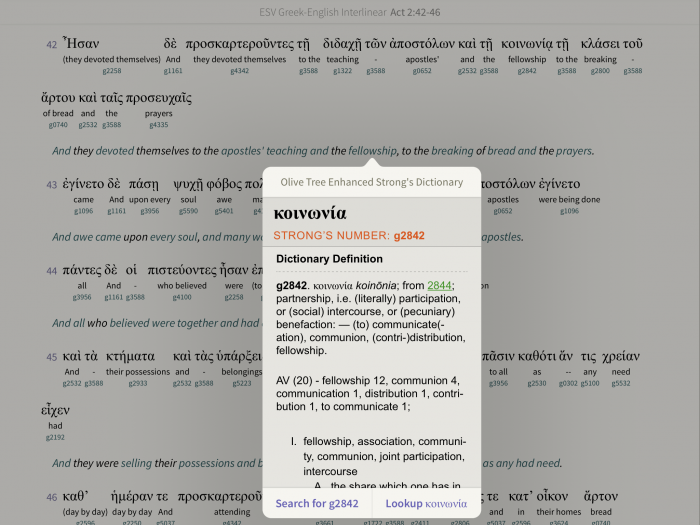 Here’s a look at some of the top features of interlinear Bibles in the Olive Tree Bible App. 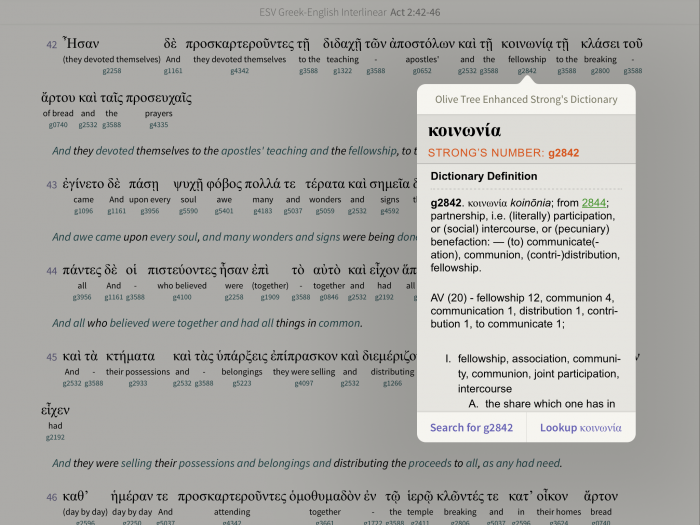 Not only can our app display the text in an Interlinear format, we’ve tagged the Greek word with the Greek Parsing and Strong’s Definition: Simply tap a word to get more details on that Greek word. 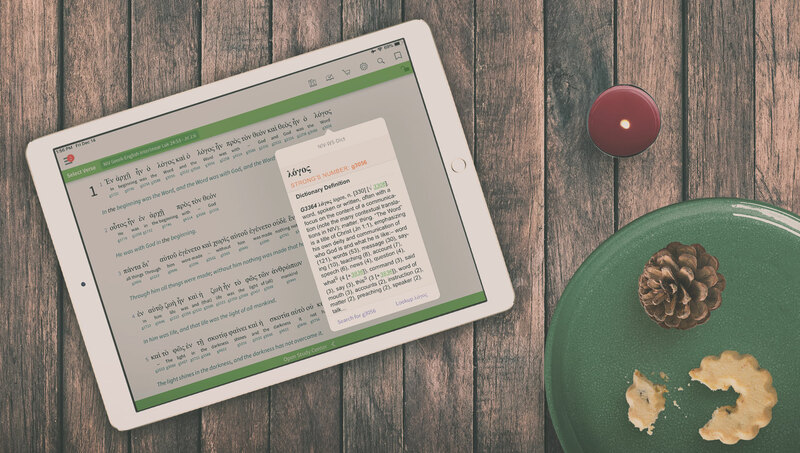 Visit our store website to find an interlinear and start using it today. 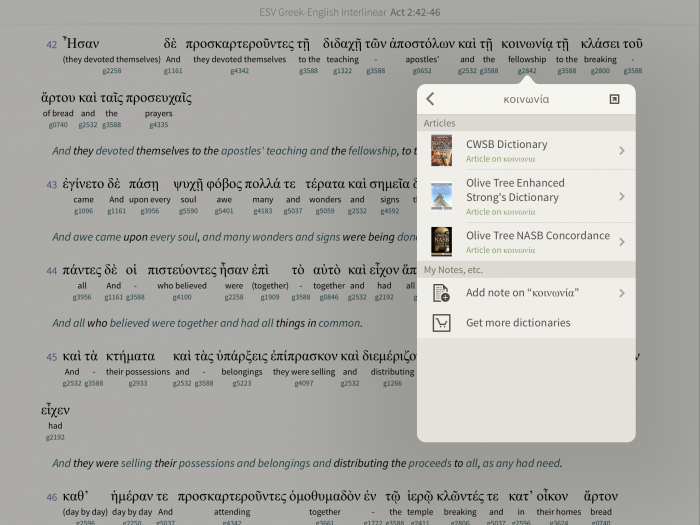 It seems to me that the most useful tool missing in the OliveTree app is a Hebrew interlinear. Any plans to make one available?